So only tangentially related to MYWTM, it’s Sunday and Sister Wives is on! So I can’t believe I forgot this picture in the Picture Roundup! 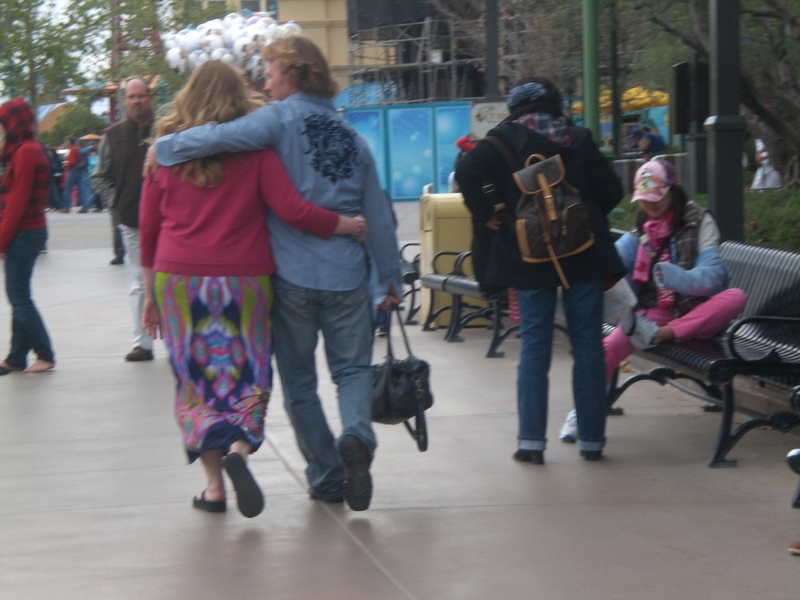 Back in Mothers in the Mouseland, Kristin the troublemaker announced that she had an amazing celebrity sighting in California Adventure–Kody and Christine from Sister Wives! Sadly, while Kristin did make eye contact with Kody and he did his trademarked hair flip, she did not get a picture. Fortunately, Brianne emailed me the picture she got. Okay, it’s of Kody and Christine’s back, but it’s proof people! PROOF! Both that Kody and Christine were at California Adventure and that Kristin isn’t as big of a whackadoodle we all think she is. Don’t get me wrong–Kristin is still a whackadoodle. Just slightly less of one now that photographic evidence has been verified. I’ve been vindicated! I told you!!!! And what’s up with him carrying her purse?? Here are a few of the requirements to qualify for a 203(k) loan. such as the sale of the borrower’s current residence or the review of actual bids and estimates. You report to yourself, you make your own hours and you pay yourself.